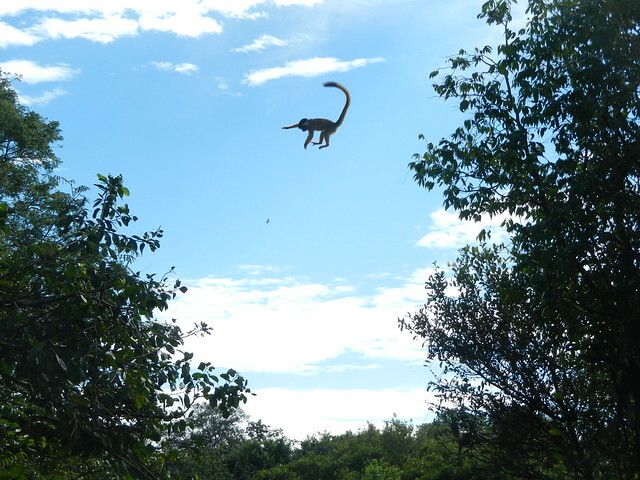 Rurrenabaque sits on the edge of the Madidi National Park and Pampas del Yacuma protected area, on the edge of the Amazon Basin. 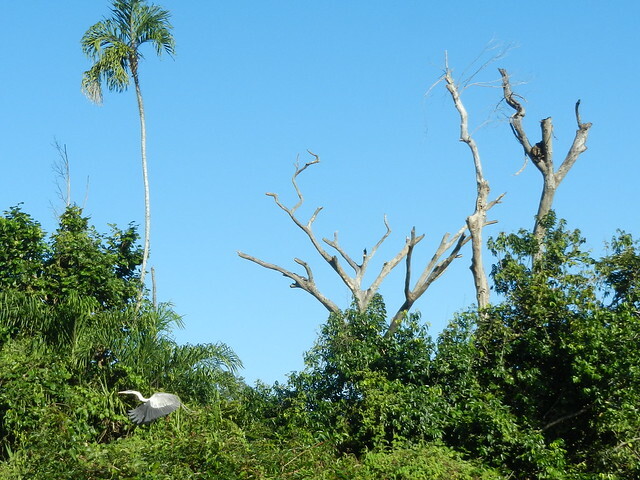 It is one of the cheapest places in South America to visit both the rainforest and the wetlands (pampas) that eventually drain into the Amazon river. Needless to say, I was super excited to visit. I was also wary because I was curious as to how the tour would be carried out in terms of sustainability and ethics. 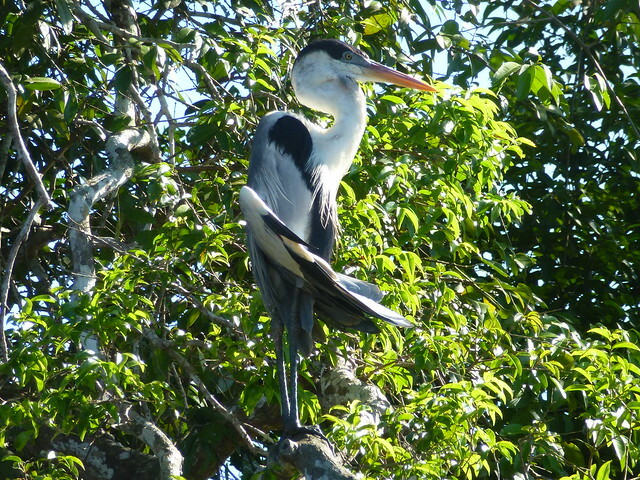 We spent a lot of time riding in a small boat down calm waterways, spotting lots of birds, alligators, caimanes, capybaras and pink dolphins. We tried to fish for piranhas but caught only two tiny catfish (later fried up as an addition to dinner). We also donned Wellington boots and waded through swampland looking for anacondas, as well as swimming with the pink dolphins. It was relaxing! I didn’t expect it to be, but there was very little physical exertion and not as many mosquitoes as I dreaded. 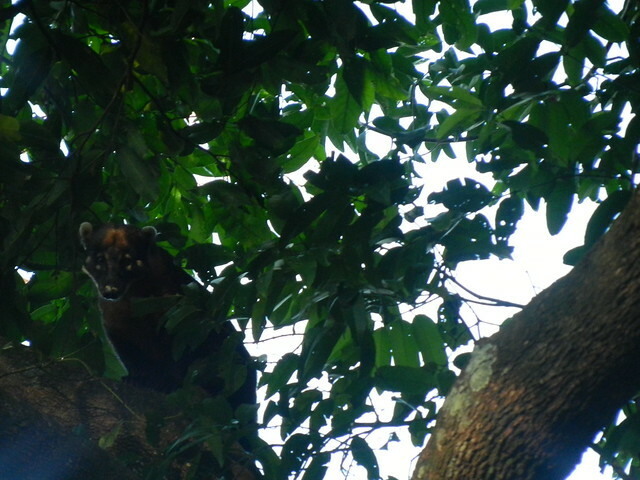 We saw wildlife everywhere. I didn’t expect to see this much, nor this close. The food and accommodation were quite decent. I think because they’re used to cooking for foreigners, they served more vegetables than is usual in Bolivia. 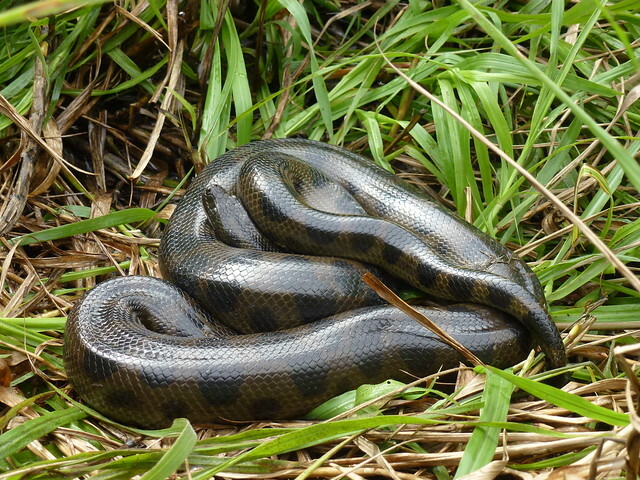 While hunting for anacondas, the guides and some tourists were smoking and dropping ash, although they took the butts back with them. 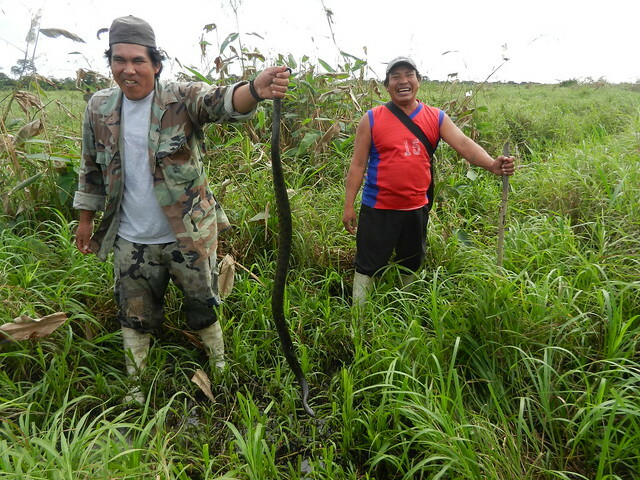 When we finally found an anaconda, it was passed around for people to take pictures with it. I’m no expert, but the snake seemed pretty pissed off by the end of this. 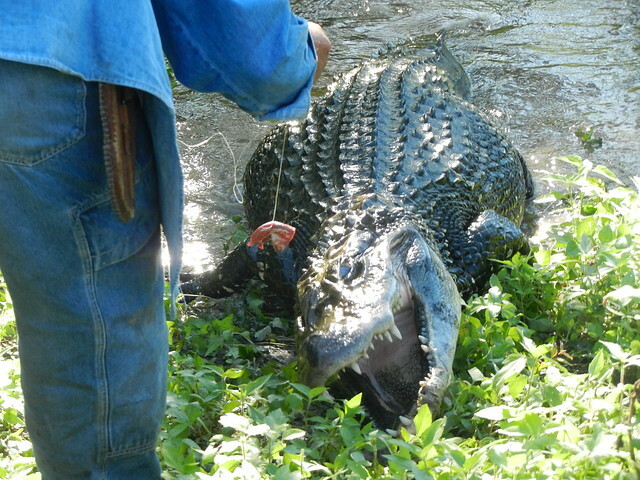 At one point, we joined another group whose guide was feeding a black caiman – so regular an occurrence that it had almost become a pet around this particular location. It’s clear that the guides judge their success (and thus their earnings from tips) on how many animal encounters they can give their tourists. But this is a self-perpetuating cycle.To expect no human contact with wildlife is somewhat naive. After all, people live and go about their daily lives on this land, as was evidenced by the fields and farmers we saw. 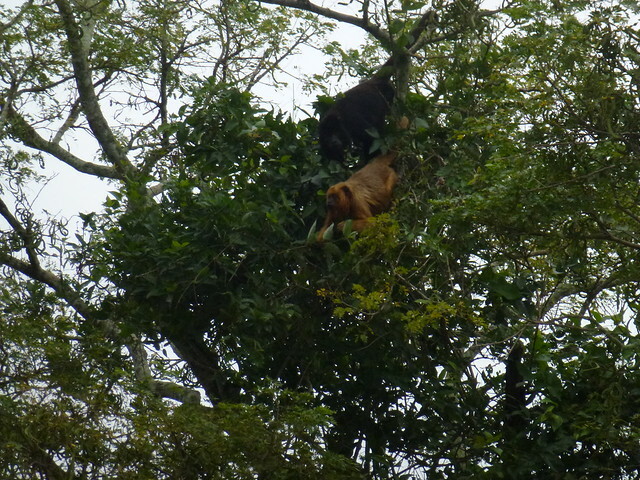 At our lodge, the leftover food was thrown out and, quite naturally, animals came to eat it. Whilst I believe some behaviors (like those I mentioned above) certainly have a negative impact, I think the experience could have been more interesting if we had viewed ourselves as part of this whole ecosystem and been aware of our impact. But I guess that’s too much to ask for on a budget tour. Short hikes, including one at night, with a choice to go fishing which we declined. Learning the traditional uses of plants for medicine, dyeing etc. The ride up the river to the lodge was beautiful and once in the jungle it was surprisingly not as humid or hot as I expected. We didn’t see as many animals as in the pampas, but we did have a group of wild pigs come into our camp area and get very close. Learning about the different plants through demonstrations was interesting. It was much more informative than in the pampas. 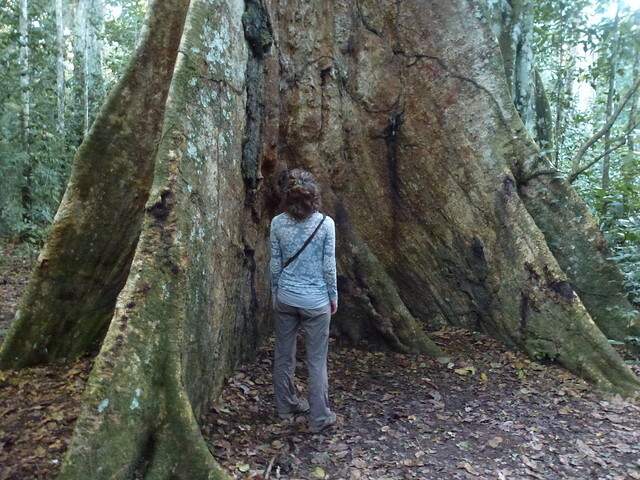 Even wearing long sleeves and trousers, everything still managed to bite me (for some reason ants kept going for my knees). This was doubly unpleasant on the night hike. I also had a cockroach down my top and two days later found a tick on me. 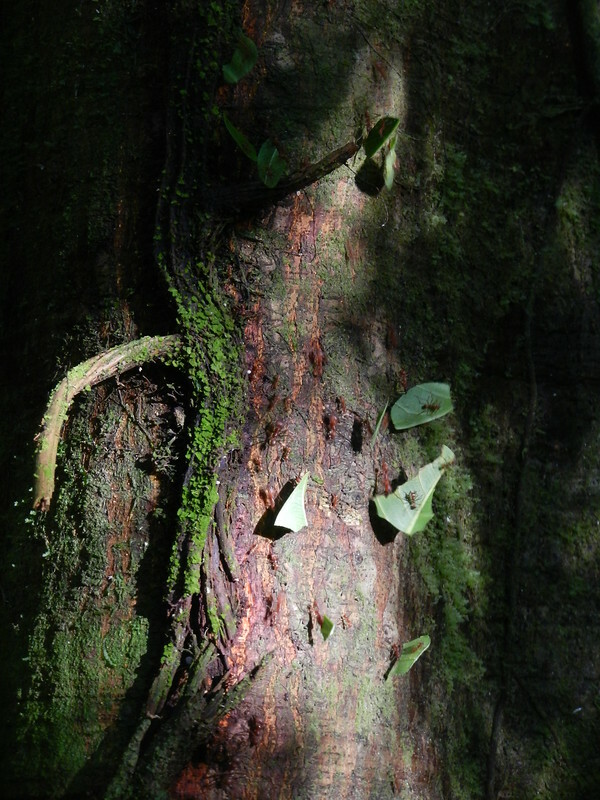 So yeah, lots of insects. I traveled with Fluvial Tours. Each tour cost 550Bs for one person and included all food, dorm beds with mosquito nets and transport. The guides spoke little English. 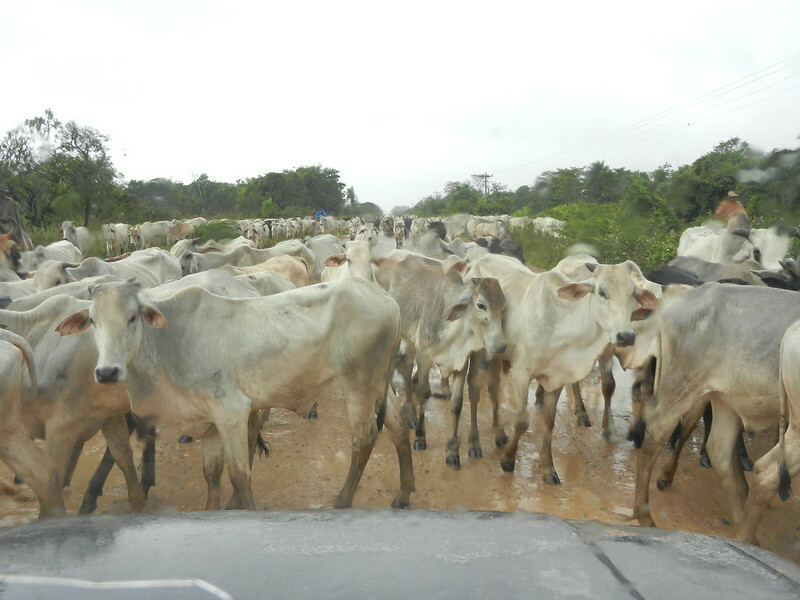 Additional costs for entry to the protected areas were 125Bs for Madidi and 150Bs for Yacuma. 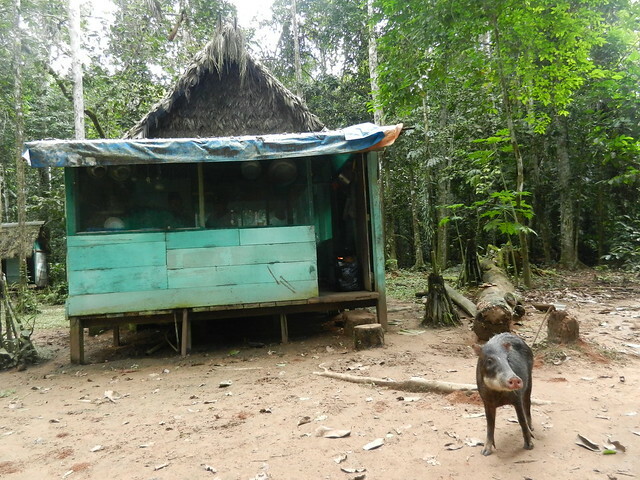 There is a Green Action programme promoting responsible travel in Rurrenabaque. They include a list of tour operators on their website who participate in the programme. 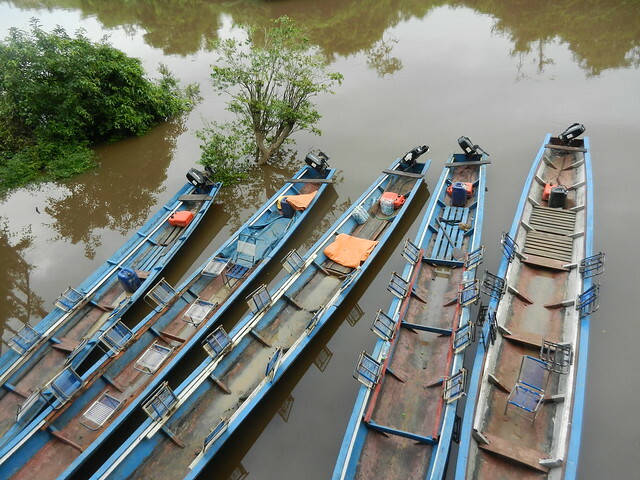 Have you been to Rurrenabaque or taken a tour in the Amazon? I’d love to hear about your experiences. 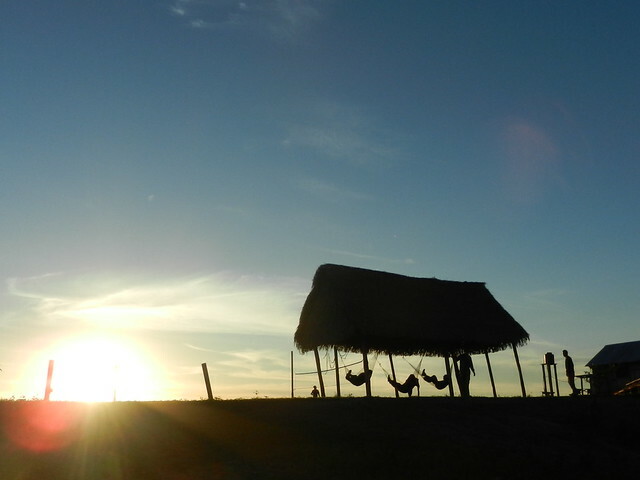 Also check out our photos from the pampas and our journey to Rurrenabaque. 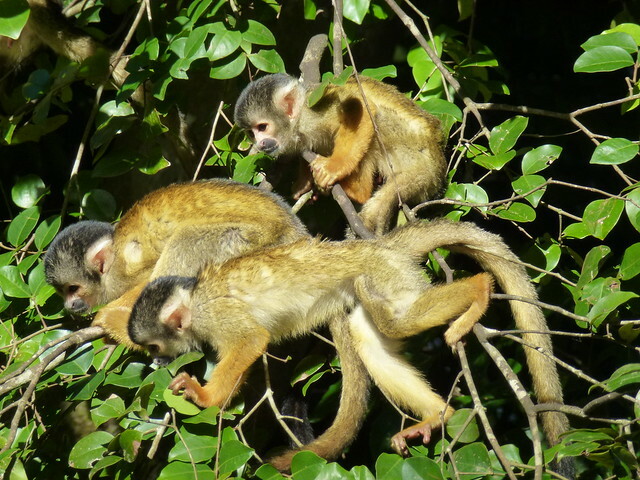 On the first day, cloudy as it was, we spotted at least one alligator, as well as a few capybara, dozens of squirrel monkeys and strange birds. 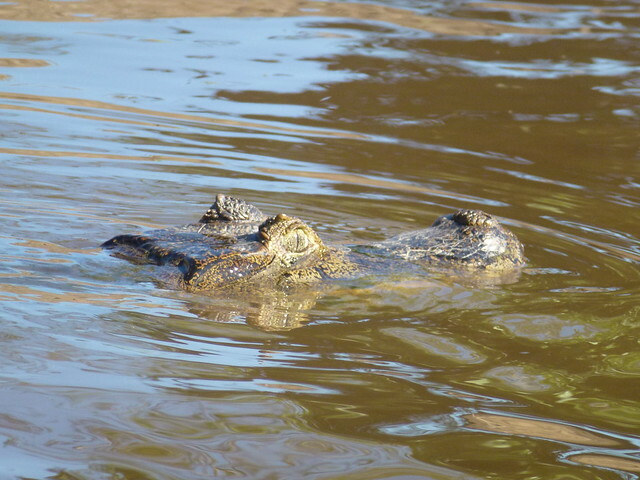 At night, we went out on the boat and saw the unsettling red reflection of the gators’ eyes everywhere we looked. 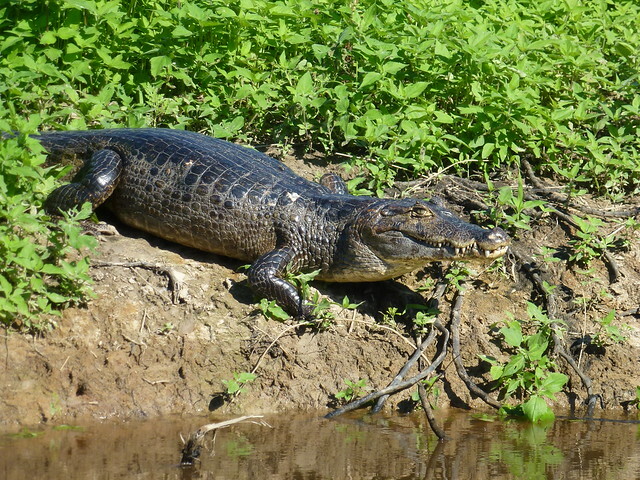 The next day, when the sun shone bright, hardly thirty seconds would pass without spotting an alligator or caiman. Pink dolphins occasionally flashed their rounded fins, more like humps, out from the murky water. 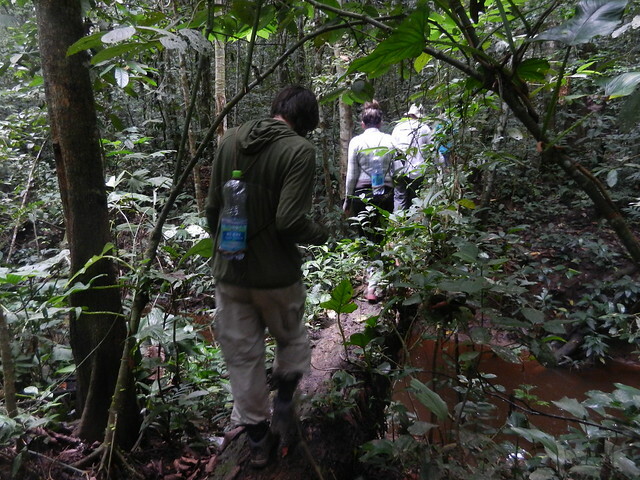 The anaconda was harder to find, and took a whole group’s eyes, struggling through thick mud and rotted wood. 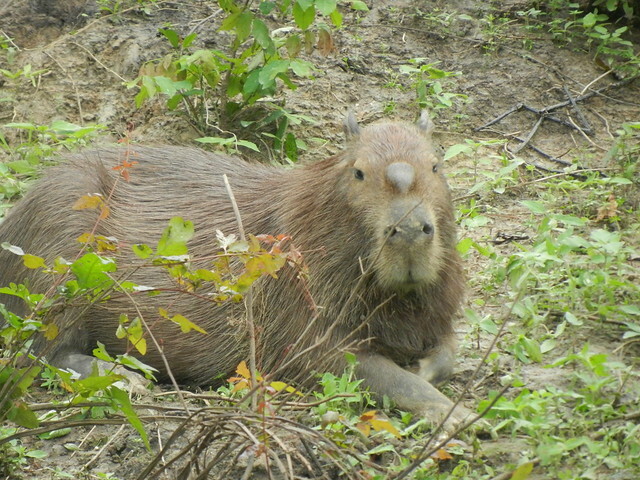 If you go on a Pampas tour in Rurrenabaque, you WILL see animals. 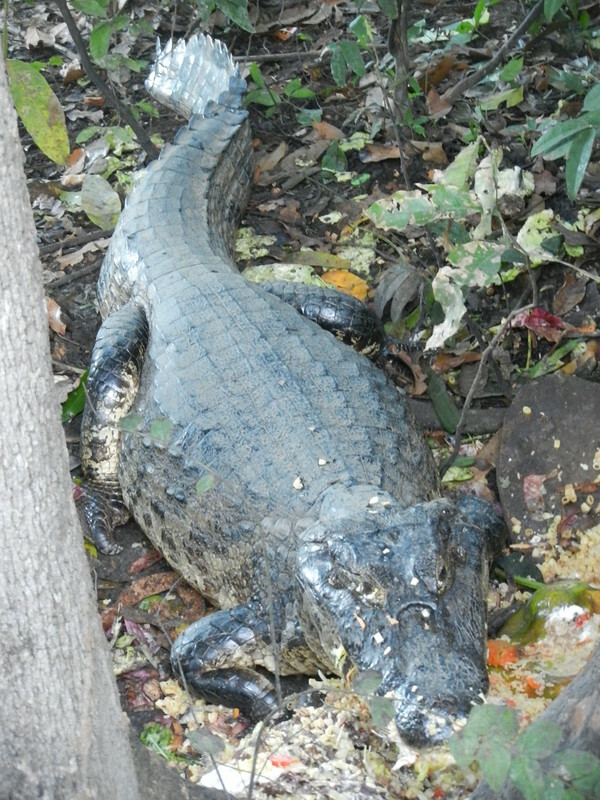 Can you spot the alligator in this picture? 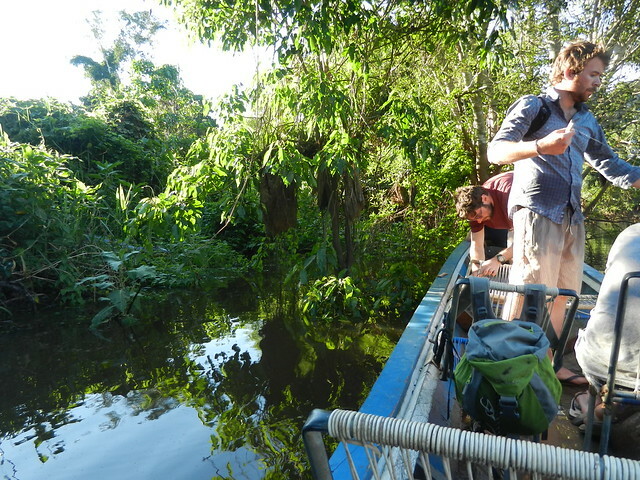 We went with Fluvial Tours, 550Bs per person for 3 days 2 nights. The price was the same as other companies providing budget tours and the standard was good for a backpacker choice. 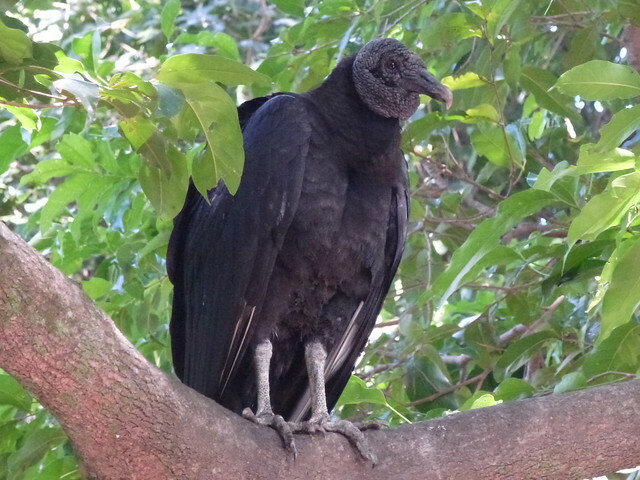 See also our post about the journey to Rurrenabaque.